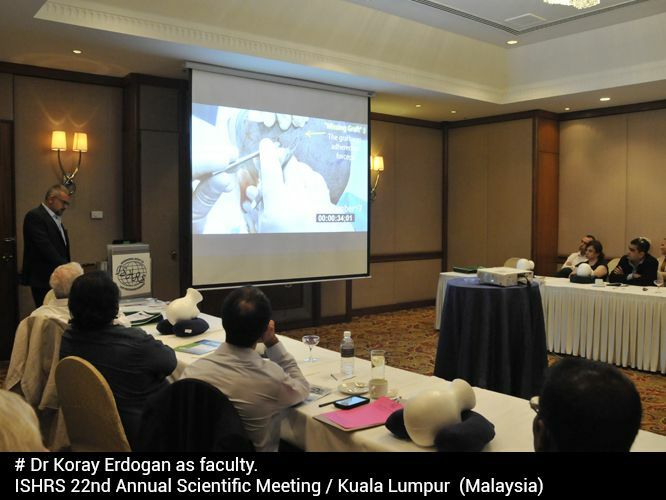 *8 native speakers/translators to assist patients throughout their surgical procedure. 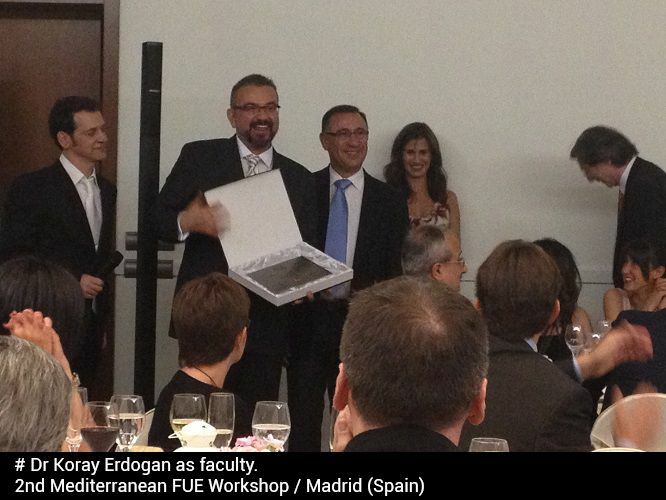 The languages spoken include Italian, Spanish, English, German, French, Russian and Romanian. 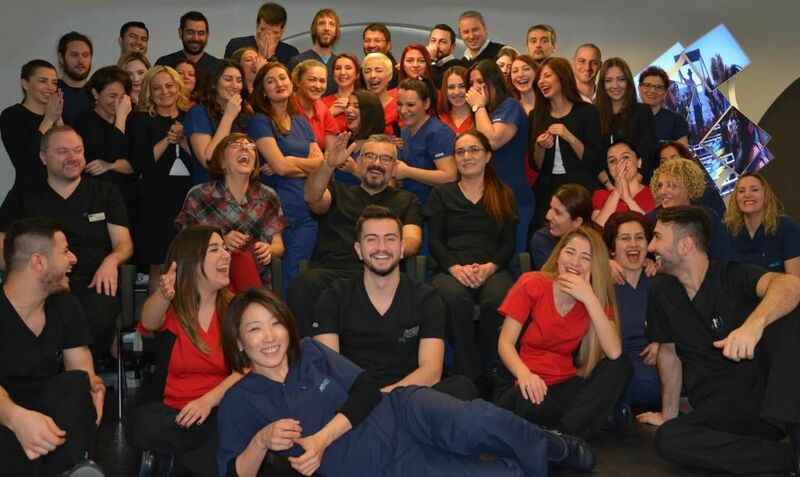 The entire staff works full-time and exclusively in the field of hair transplantation. 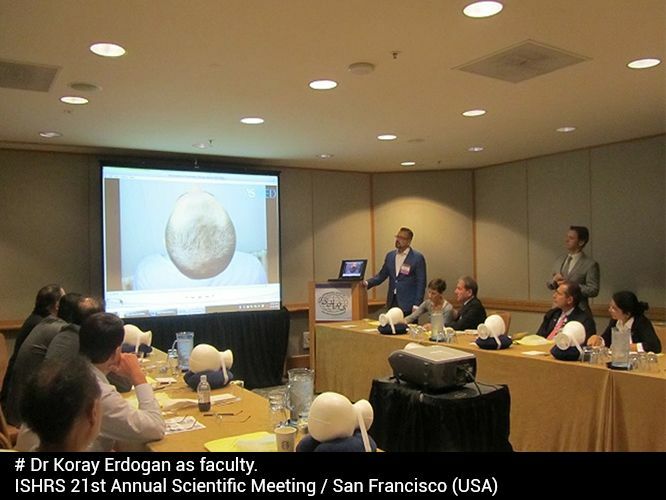 One day prior to surgery, Dr. Koray Erdogan carefully determines the patient’s condition by manually examining the hair and scalp. This is accomplished with the patient’s normal hair length intact. 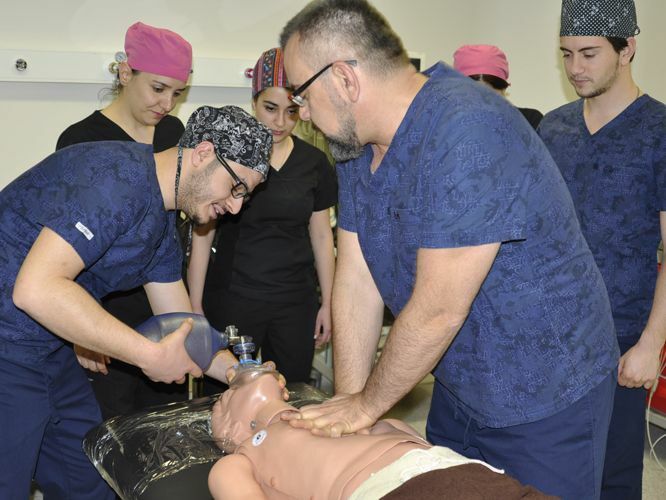 During this examination, the doctor evaluates the patient’s individual donor capacity and temporal/parietal/occipital density as well as calculated density. 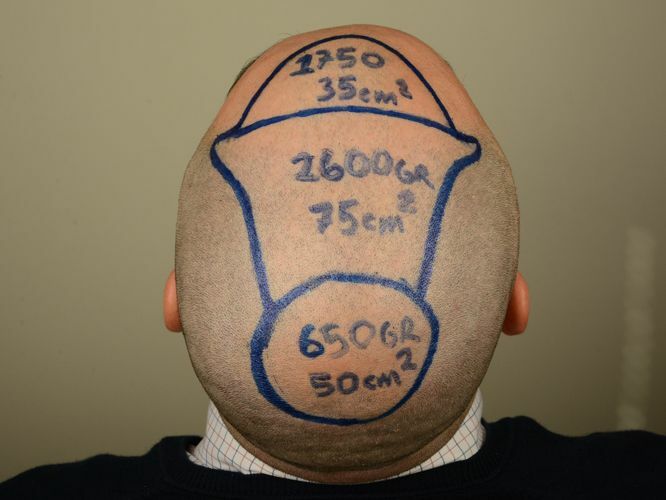 The occipital/periauricular/suboccipital calibers of hair and recipient areas are also calculated. 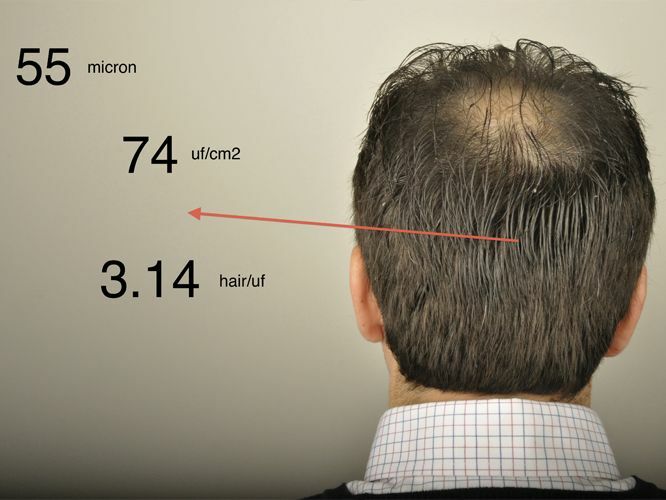 After cuttingthe patient’s hair and shaving the scalp, all these calculations are repeated once again via aphoto studio computer program for additional verification. At the end of the day, the surgical team meets to discuss the next day’s plans for the patient’s surgery. 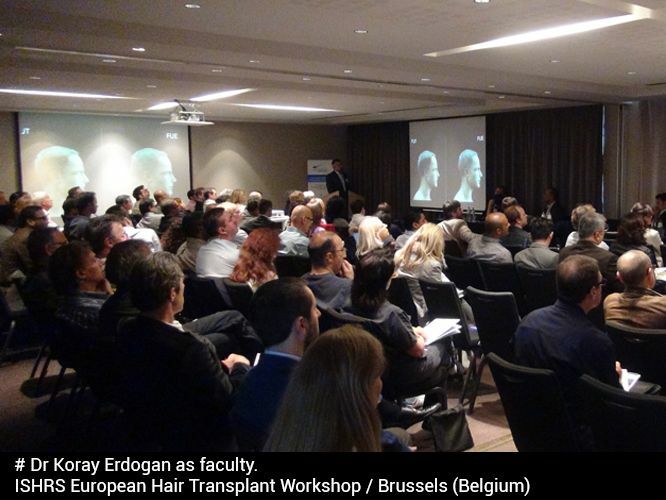 The discussions, led by Dr. Koray Erdogan, are primarily targeted around the establishment of hair/graft averages for the different parts of the donor area in order to accomplish the best homogenization of density. 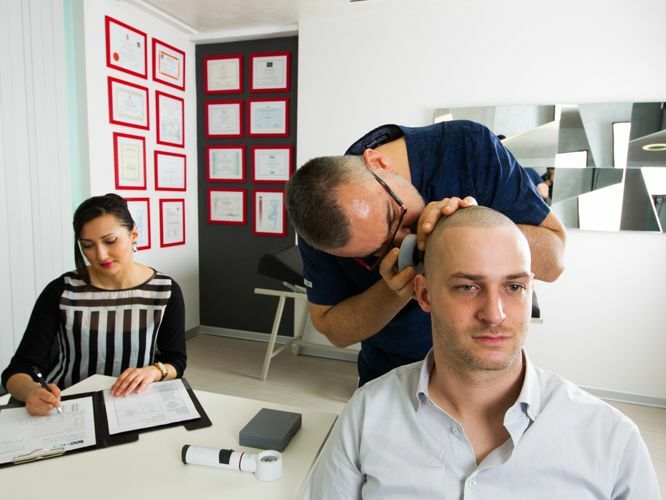 He balances the patient’s expectations with considerations such as donor availability, potential for future hair loss and the suitability of a particular style bearing in mind the patient’s facial features. 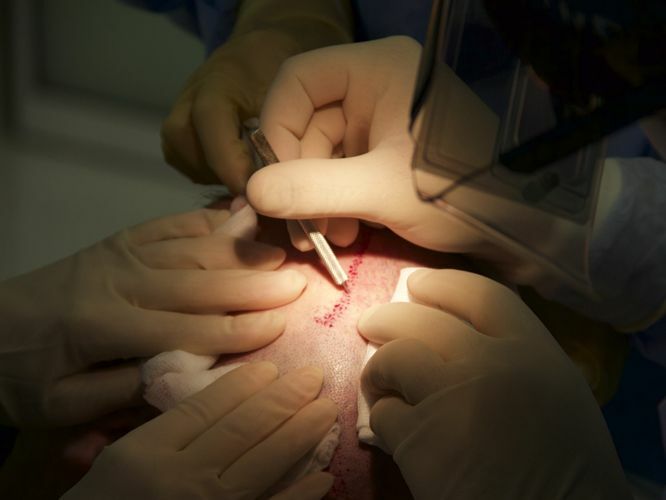 During the extraction portion of the surgery, two of the assistants continually check graft quality and separate single, double and multiple grafts by a special loop system. 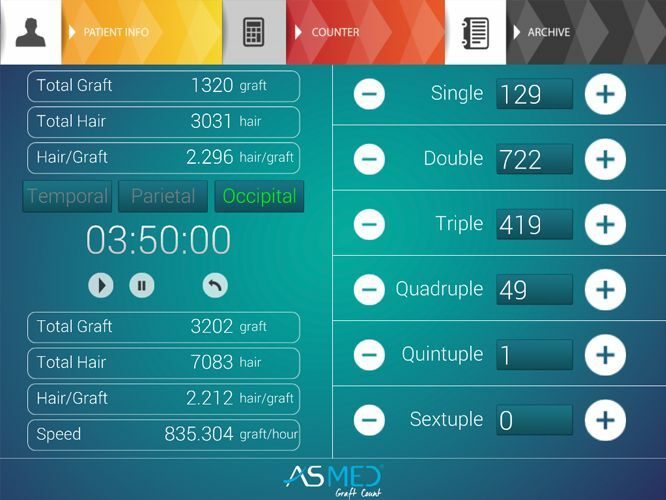 An additional assistant keeps graft statistics through a patented ASMED software program. These statistic sallow the surgical team to 1) stabilize hair/graft averages according to the previously targeted averages and 2) issue timely reports to the team that allow for any necessary adjustment. 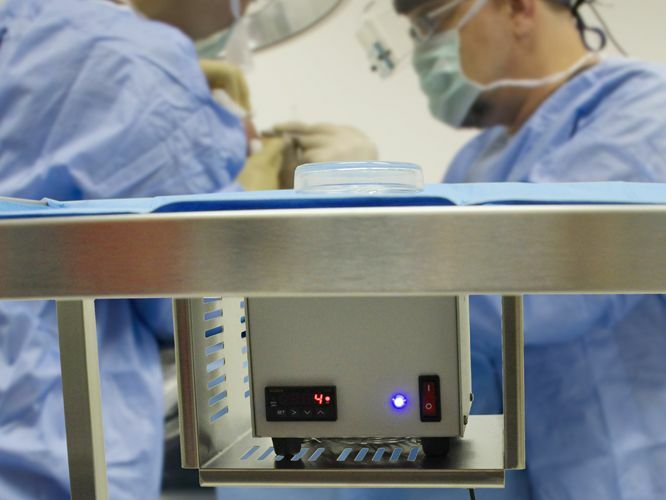 During surgery, all grafts are kept in a hypothermosol + liposomal ATP solution and placed over an electric chilling device at 4 degrees Celsius. 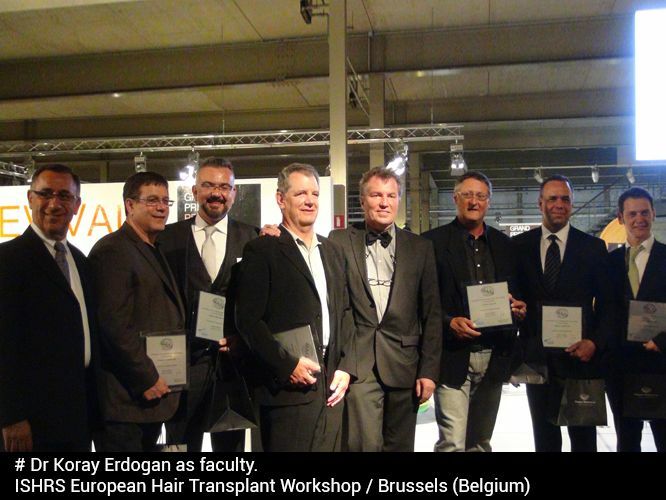 Dr. Koray Erdogan performs all incisions using a lateral slit technique in combination with custom-sized blades that are prepared according to the length of the hair and the distribution of grafts. 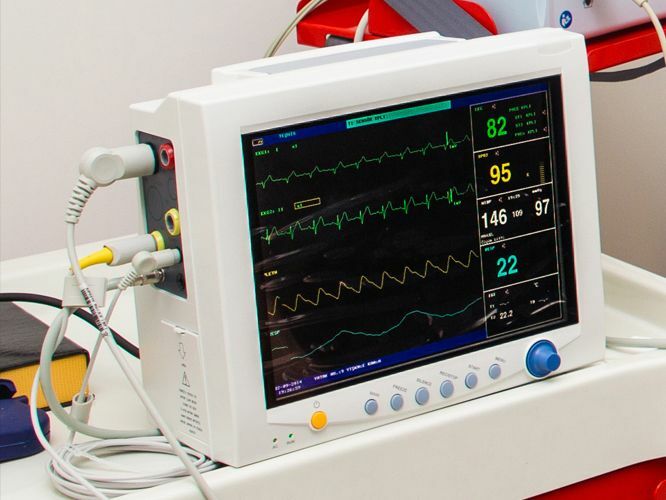 All patients are monitored and controlled by an anesthesiologist from the beginning to the end of the surgery. Post-operative care on the first day following surgery consists of the careful washing of the recipient and donor areas. 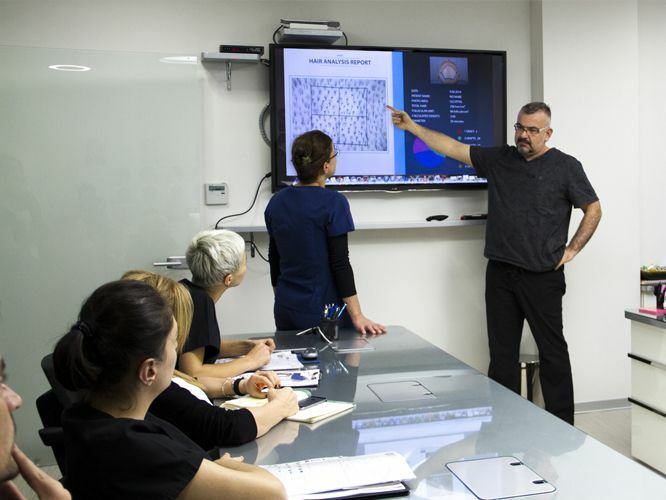 Prior to departure from the surgical center, all surgical statistics are presented to the patient including a file of all photos and a DVD. 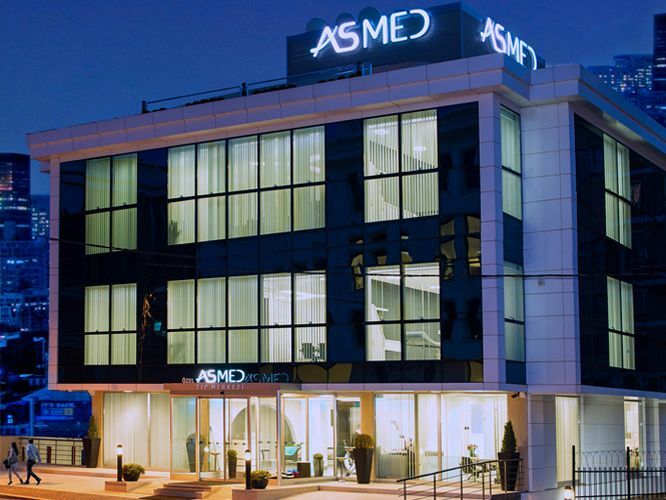 ASMED is not just a team of colleagues, but a surgical family dedicated to providing its patients with state of the art surgery. ****The High Efficiency Particulate Air (HEPA) filter provides the best pro¬tection from infection and contamina¬tion from airborne microorganisms. 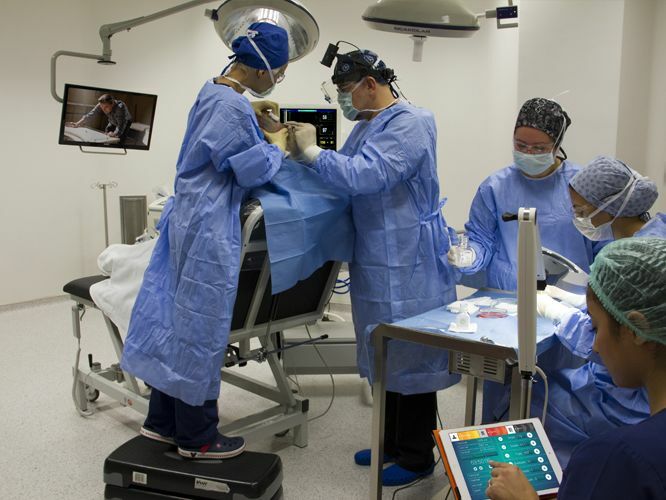 HEPA filtration in operating rooms of a healthcare facility provides the highest quality of air cleanliness, helping safeguard the life and health of the patients and the healthcare workers. HEPA Filtration is used in applications where the cleanest of air is required. HEPA is an acronym for High Efficiency Particulate Air.